In my previous post “Reflections on War and Reality” I described how in the 20th century nationalist movements in South-east Asia used communism as a legitimizing philosophy. In particular Ho Chi Minh of Vietnam and Mao-Tze Tung of China interpreted Marxist philosophy in a manner that appealed to local nationalists thus garnering widespread popular support. As a friend reminded me just before the article was published, Ho Chi Minh was well known to the United States and the West. He had implored the Big Four to recognize Vietnam’s right to self-determination at the Paris Peace Conference in 1919. Later he served as an agent of the Office of Strategic Services (the forerunner of the CIA) during World War II. In the latter role he helped lead the anti-Japanese resistance in French Indochina. 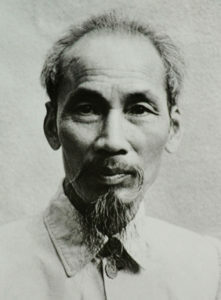 When the Allies refused to recognize Vietnamese demands for independence from France, Ho Chi Minh became the leader of a national resistance to colonial rule. Ho’s story is worth revisiting since it contains parallels to a similar communist East Asian figure – one who like Ho would become a pariah in the eyes of the Western World. His name was Kim Il Sung and he would rise to become the first president of an independent North Korea. Like Ho Chi Minh, Kim Il Sung grew up in the shadow of imperialism. In 1910, Korea was annexed by the Empire of Japan. Kim’s parents were active in the anti-Japanese resistance but were forced to flee to Manchuria. There Kim joined the Chinese Communist Party and later joined the Communist guerillas in their fight against the invading Japanese Army. After a long and brutal campaign, Kim and some surviving guerillas fled to the Soviet Union. There Kim and his comrades were re-trained by the Red Army and Kim eventually rose to the rank of army major. After Japan’s surrender in 1945, Kim returned to Korea and established the Korean People’s Army. With the support of China and the Soviet Union he took control over the northern half of the Korean peninsula. Meanwhile South Korea became an independent entity led by the American trained and backed Syngman Rhee. Both Kim Il Sung and Syngman Rhee were repressive strongmen backed by rival superpowers. Yet both men were representative of a broader Korean nationalism. Where they differed was how that ideology should be expressed and to what end: A worker’s dictatorship or a hierarchical capitalist oligarchy. Eventually, their differing visions led to all-out war between the North and South. When a widespread insurgency against Rhee’s government broke out in the South in 1950, Kim saw an opportunity to untie the two Koreas. Initially the North possessed greater firepower and in a matter of months, they had conquered most of the peninsula. But for U.S. intervention, the North would have completely overrun the South. Instead, the U.S. President Truman sent an American Army commanded by the increasingly unstable Douglas MacArthur to Korea, supported by a multi-national force including British, Canadian and ANZAC troops operating under the auspices of the United Nations. MacArthur and the UN Forces routed Kim’s armies, prompting China to intervene on behalf of North Korea. In turn the Chinese drove the American-led coalition back to the 38th Parallel, where a truce between the North and South was agreed. A full armistice between the two sides was delayed at first by an intransigent Syngman Rhee, who even went as far to say that should the US pressure South Korea into an armistice, he would order the UN and American Forces out of Korea so that the South’s armies could die fighting the enemy alone. Finally in July 1953, both sides laid down their arms. However the stalemate at the 38th Parallel did not result in a peace treaty. Instead every morning since the armistice of July 27th 1953, officers from both the North and South meet in order to agree to another twenty four hour extension to the truce. Relations between the two Koreas remained tense up until the 1990’s. In 1994, Kim Il Sung died and was succeeded by his son Kim Jong Il. The younger Kim proved more moderate than his father. In 1998 he initiated the Sunshine Policy intended to improve relations with the South. South Korean companies were allowed to bid on contracts in the North. A rail-service between the two states opened for the first time since the Korean War. Relations with the West also improved. In an agreement with the Clinton Administration, North Korea agreed to curb its development of nuclear weapons. Relations between the Koreas, the US and China were on the path to normalcy. To help facilitate better relations, the US agreed to sell fuel oil and other commodities to the North. However that agreement was never finalised. In 2000, US President George W Bush came to power bringing with him to the White House the Manichean world view of the neo-conservative lobby. Clinton’s agreement with Pyongyang was thrown out. In response North Korea resumed its pursuit of the nuclear bomb – and by 2006 it had procured it. North Korea carried out four more nuclear tests between 2006 and 2016 and on each occasion the responses from its neighbors and the West were full of bellicose rhetoric. George W Bush described North Korea in silly terms. North Korea was part of the “axis of evil” he said and Richard Perle who served as on the Pentagon’s National Security Council regularly used the word “evil” when discussing North Korea with journalists. The hypocrisy of Perle, Rumsfeld and Cheney regarding the issue was striking considering neo-conservative connivance with dictators in the Middle East and Latin America under Reagan. As a Clinton Administration diplomat described the Bush Administration’s stance on North Korea, the Republicans didn’t have a policy on North Korea –they had an attitude. The ideology of the Bush presidency trumped common-sense and objective reality when it came to North Korea’s actual nuclear capabilities. Eleven years after North Korea’s first nuclear test, Pyongyang hardly has an effective nuclear arsenal. What weapons it possesses are insignificant in number (perhaps a dozen) compared to those in the possession of the US and China (around 4000 and 600, respectively). The drive behind North Korea’s quest for nuclear capability is motivated less by military considerations than simple economics and domestic politics. North Korea suffers from a shortage of energy and trade. Throughout the 1990’s and early 2000’s she has also suffered chronic food shortages. The collapse of the Soviet Union resulted in a loss of a vital trading partner. China’s development of her own extensive coal and oil reserves has lowered the demand for imports of North Korean coal. South Korea too has enjoyed an economic boom. Compounding matters is Kim Jong Un’s unpopularity at home. He is the first North Korean President born after 1950 and cannot claim the same lofty status as his father and grandfather. What a sensible observer in the period of the Sunshine Policy and beyond would have recognized was the opportunity help end Pyongyang’s isolation. They would also have acknowledged the late Kim Jong Il’s admiration for China’s modernization efforts and interpreted his pronouncements as an opportunity to assist North Korea with meaningful economic reforms. Trade between the North and South might have been encouraged and with that trade a normalization of relations between the two Koreas and an eventual peace treaty might have occurred. But instead of a sensible, measured policy towards Pyongyang, the US offered ramped up militarism. Under Bush, American troops participated in war-games with Taiwan, annoying China and by extension alarming North Korea. Instead of diplomatic overtures, Bush and the neo-cons talked of “regime change.” Once again the Hermit Kingdom retreated into itself. Under Barack Obama, a measure of sanity was restored to US-North Korean relations, yet the fundamental issues driving North Korea’s quest for nuclear power were ignored by the West. Kim Jong Il’s death brought his son Kim Jong Un to power and with him a hardened attitude towards the rest of the world. Yet looking beyond the bluster of Kim Jong Un’s rhetoric a picture emerges of a rather insecure and immature man, unsure of his position and willing to engage in compensating behaviors such as military displays and absurd pronouncements regarding North Korea’s military power. Sensible diplomacy with this in mind would do wonders for relations between Pyongyang and its neighbors. But as in 2000, 2016 has brought with it another missed opportunity in the form of US President Donald J. Trump. Like Kim Jong Un, Trump displays a narcissistic insecurity and a penchant for bellicose and silly rhetoric. Neither Trump nor his cabinet possess the necessary understanding of history or the tact to address North Korea’s issues or concerns about its own security. Like the administration of George W Bush, Trump’s cabinet makes up for a lack of policy with a cavalier attitude. This was on display Friday April 14th when with typical vague bluster Trump stated to reporters “North Korea is a problem, the problem will be taken care of.” On Fox Business News he said “We are sending an armada. Very powerful” and of Kim “He is doing the wrong thing. He’s making a big mistake.” Incapable of self-reflection, Trump clearly missed the irony of this last statement. These statements also indicate the idiocy of current administration policy towards Pyongyang. Threatening pre-emptive action against North Korea in the event of further nuclear weapon’s tests ignores the reality of Pyongyang’s weakness as well as overestimating the extent of US military power to deliver on those threats. Much of North Korea’s military infrastructure was built underground in anticipation of enemy airstrikes. North Korea’s topography is mountainous and heavily forested providing additional protection against any “precision” aerial bombardment. Limited airstrikes against North Korea would accomplish little. Meanwhile, Pyongyang possesses enough conventional artillery to level most of the South Korean capital Seoul in a matter of minutes. Civilian casualties would be enormous in the event of that bombardment. There is also China and its formidable military to consider, yet the White House has stated that it is prepared to act with its allies against North Korea without Chinese support. Yet all of the above can be avoided once the past is considered and the meaning behind Kim’s rhetoric is understood. However despite decades of bluster from North Korea, Trump the reality TV president seems unable to differentiate talking tough from being tough and to comprehend North Korea’s actual economic and military reality. A truly strong and sensible leader would work to de-escalate tensions and seek a long term solution to East Asia’s security concerns. However Trump, himself a blusterer, is playing the role of president instead of behaving with common-sense. The moral vacuum that is the Trump Administration was put on display earlier in the week when Syria was bombarded by 59 Tomahawk cruise missiles and the largest conventional bomb in the US arsenal was detonated in Afghanistan. Like Bush’s war-games with Taiwan in the early 2000’s the effect of these acts on Pyongyang has been considerable. In the face of an equally insecure and narcissistic American President, Kim Jong Un feels compelled to escalate his own silly self-serving behaviours. His planned nuclear test, intended to coincide with the anniversary of Kim Il Sung’s 105th birthday, is a show of force to prove to the North Korean population that he is a strong leader and equal to his grandfather. Seen for what it really is the act while disreputable is insignificant in the broader international sense. However in the mind of an immature US President, Kim’s nonsense is something to be taken seriously. There is an irony that both Trump and Kim Jong Un share an identical characteristic: they are both unpopular in their home nations and fearful of their political legitimacy. Like that of Vietnam, Korean history has been shaped and scarred by attitudes both foreign and domestic. The Ancient Chinese believed Korea to be a disobedient child. The Japanese condescendingly viewed Koreans as their “little brothers”. The Korean War of 1950 to 1953 was aggravated by Western attitudes towards communism and local animosities between Kim Il Sung and Syngman Rhee. The current crisis between the US and North Korea is based on a dangerous combination of ignorance, insensitivity and boorishness. Assuming that there is a de-escalation of tensions, those who will claim victory will be Trump and Kim Jong Un for standing firm. Yet the true victors of this grubby fiasco will be China for winning the diplomatic victory and holding the moral high ground, and Japanese Prime Minister Shinzo Abe. Abe, an outspoken Japanese militarist will use the crisis to drum up support for rebuilding the Japanese military along Imperial lines. From there arises the potential for a case to be made for Japan to possess its own nuclear deterrent to counter both China and North Korea. Since Japan’s economy is faltering and its population dropping, Abe’s resort to militarism is a logical step for an unimaginative character who has failed to address Japan’s economic woes. These failings will be glossed over by his stance towards North Korea: another example of a politician acting tough. In the meantime, and until the latest crisis is resolved, the fate of millions hangs in the balance – assuming of course that the reality of their predicament is considered at all by our political leaders. Carl von Clausewitz, the author of On War witnessed the brutality of modern warfare. He was present at some of the most critical battles of the Napoleonic Wars and saw first-hand the carnage large groups of armed men and artillery can inflict on one another. He fought on the side of the Russians at Borodino (1812) where approximately 80,000 men on both sides were killed, wounded or taken prisoner. Clausewitz saw the horrific slaughter of French Infantry at the Raevsky Redoubt – a series of earthworks from which a rain of cannon and musket fire scythed down the advancing French troops in grim a precursor to the trench warfare later played out at disparate locations such as Sebastopol (1854-55),Cold Harbour (1864) and the Marne (1914). Later he fought at the lesser known but equally significant battle of Wavre where the Prussian Army blocked French reinforcements from joining Napoleon at Waterloo (1815). On War, which was published after his death in 1832 is both a theoretical treatise on warfare and rational summary of Clausewitz’s experience of combat. 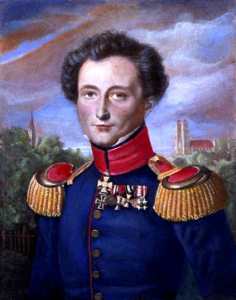 Typically, as in the case of all great thinkers, later academics both military and non-military have misinterpreted or misunderstood Clausewitz in order to justify their various ideological agendas. His most famous aphorism that “war is a continuation of politics through other means” has been removed from its context and used to justify massive public spending on armaments. Yet one of the most significant and relevant passages from On War is probably the least famous [italics are mine]. Wars must vary with the nature of their motives and of the situation which gives rise to them. The first, the supreme, the most far reaching act of judgement that the statesman and the commander have to make is to establish by that test the kind of war on which they are embarking; neither mistaking it for, nor trying to turn it into, something alien to its nature. 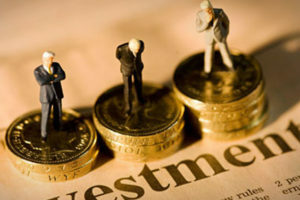 This is the first of all strategic questions and the most comprehensive. Here Clausewitz is talking about the reality of motivation for war rather than the ideological convictions behind those motivations and how that reality should shape the tactics for the successful completion of a war. A further extrapolation being that the resolution of any conflict is dependent on what is real not what its actors desire it to be. Yet since the end of World War II both the public and western militaries have dwelt in a bubble of non-reality. Since the conclusion of World War II one thousand soldiers and five thousand civilians have been killed per day in regional wars across the world. This is approximately the same number of deaths per diem as during World War II. There is a public disconnection between the perception of this ongoing death and destruction and the reality of why it is occurring. Part of the blame for this lies with the unofficial covert status of modern warfare as practiced by Western powers. At the time of writing, French troops are embroiled in Mali while American military advisers in Kenya are assisting Kenyan troops in an ongoing fight with Al-Shabbab in Somaliland. At the same time, troops from Niger, Chad, Cameroon and Nigeria with the backing of the American CIA and Britain are pursuing a war with Boko Haram in Nigeria and surrounding states. In the Middle East, both Saudi Arabia and the United States are locked in a dirty war in Yemen while to the north, Palestinian opposition to US-supported Israeli occupation continues its violent cycle, a conflict that has since 1948 spilled over into Lebanon, Jordan, Egypt and Syria. The Syrian Civil War that erupted in 2011 has drawn outside forces into that conflict. There are parallels with the Syrian Civil War and the Spanish Civil War of 1936-1939 in that outside powers are working to influence the outcome of that conflict. In Syria, Russian, American and Turkish forces and their proxies are vying for control of an area crucial to oil exports and regional trade. In each of these cases, the root causes of each conflict are environmental and nationalist. Each of the countries listed has suffered from climate change, most notably Syria where a series of failed harvests and the failure of the Assad regime to address food shortages ignited the popular revolt that triggered the recent Civil War. The nationalist aspects of each conflict are visible in the manifestos of the groups involved. The organisations have different names – ISIS, Boko Haram, Al-Quaeda, Al-Shabbab- and while their Islamist principles have been made evident through their many pronouncements on social issues, these groups are at the core, nationalist movements. Just as communism served as a legitimising ideology for nationalist movements in China and Vietnam, and Korea in post-World War II era, Islamism is being used by nationalist groups in Africa and the Middle East to create a sense of philosophical legitimacy. None of this is to condone the methods employed by ISIS and other groups. It is merely an effort to provide an accurate portrait of these groups that is untainted by the jingoistic descriptions emanating from the Western powers. Moreover, when the situation is looked at without an ideological lens, what is apparent is that all of the above conflicts are connected. In each case, Western powers and their proxies are fighting to maintain control over regions containing strategic resources. Leaving aside the dubious ethical reason for the fighting, the ideological convictions at play on all sides are rooted in fantasy. The United States claims to be fighting a war against “terrorism” and against Islamist forces that want to control the world. The reality is that the groups they are fighting are local nationalist movements with an Islamist philosophy. The reality of geopolitics is that even if a group like Al-Shabbab came to power in its locale, it would be limited by both physical geography and ethnic geography. The latter is of crucial importance. Consider Afghanistan and Vietnam. Even at the height of its power, the Afghan Taliban only controlled eighty percent of the Afghan landmass. They were limited by topography and the ethnic divisions that coalesced around the Northern Alliance, including the Tajiks and the Pamiris. Similarly, the Domino Theory behind French and US intervention in Vietnam did not stand up to reality when in 1979 the Vietnamese defeated the invading Chinese forces during the Third Indochina War. American assumptions that China would absorb Vietnam ignored the centuries of ethnic rivalries between the two powers that predated Western colonialism. Regardless of the reader’s stance on the so-call War on Terror, any sensible resolution to the above conflicts can only occur when reality is acknowledged and accepted over ideological agendas. To do otherwise is to deny Clausewitz’s correct assertion that statesmen and commanders neither mistake this war for, nor try to turn it into, something alien to its nature. Failure to acknowledge that reality will result in the geopolitical, military, economic and political defeat of the West. There are many reasons why militaries (and the societies that produce them) fail to come to terms with reality and all of these are rooted in ideology. In the case of the United States there exists at a tactical level, an obsession with military technology and equipment. Yet as defeat in Vietnam attested, technology alone does not ensure victory. Second, there exists a moral dimension to America’s failure to grasp military realities; that being the contradiction of spreading democracy and free markets by armed force. Like the Athenians of the Classical Era, there is a dishonesty at the core of American foreign policy that denies the brutality and larceny that occurs when its military is unleashed against a foreign population. Third and of primary importance is a religious ideology at entirely at odds with reality. US support for Israel, while ostensibly serving as a pillar of regional control is rooted in a fundamentalist Christian belief that the Final Conflict between the Messiah and the Anti-Christ will occur in Israel. That this belief (best described by the term dispensationalism) is not derived from the Gospel but from the Book of Revelations, – which in itself is derived from the pre-Christian Book of Daniel – and has no basis in physical reality is beside the point. The fact is believers in such abstract nonsense have influenced Western policy towards the Middle East for the last two hundred years. Most notably in the twentieth century was Prime Minister Lloyd George and his colleague Lord Balfour from whose foreign policy helped create the modern state of Israel. Former Prime Minister Tony Blair subscribed to dispensationalism and those beliefs influenced his determination to draw Britain into Gulf War II. In the United States, dispensationalists have included former Presidents Ronald Reagan and George W Bush. Donald Trump’s current energy secretary, former Texas Governor Rick Perry is a member of the Dominionist Church, a militant Christian grouping that seeks to set-up a Christian nation governed by biblical law. A planned consequence of this would be the criminalization of homosexuality, adultery and public blasphemy to name but a few “biblical crimes”, all of which would carry a death sentence. That such beliefs are predicated on abstract nonsense does not diminish the fact that these beliefs have profoundly influenced American foreign and domestic policy since the end of World War II. In turn, these beliefs have hindered effective foreign and domestic policy during the same time period. The hardline Anti-Soviet stance adopted by the Christian Right helped precipitate the Cold War. The dispensationalist support for “regime change” in the Middle East has cost the lives of millions of people and bankrupted the US treasury. These beliefs have had a deleterious effect on the effectiveness of the US military in foreign operations. The US military operates under the illusion that it is a crusading force for good, rather than an occupying army. The inability of US forces to handle the occupation of Iraq and Afghanistan was evident in its conduct towards civilians, its many war-crimes (Abu Ghraib being the most notorious) and the contrasting success of British forces operating in Basra. Before these issues can be addressed, there first needs to be a widespread acknowledgement of reality among the citizenry. A capable president with the backing of popular support could do much to deal with these problems. 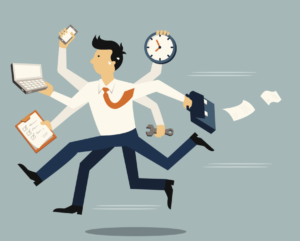 Doing so would not be easy and it would require a great deal of personal courage. However, these issues are not insurmountable. Precedent can be found with former Soviet President Mikhail Gorbachev. Faced with opposition to the policy of Glasnost and Détente with the US in the 1980’s Gorbachev was able to outmaneuver his critics and his own generals. After Mathias Rust flew his plane over Red Square, Gorbachev used the incident to marginalise the army generals who opposed his reform policies. The result for the world was the aversion of nuclear conflict with the US and the end of the Cold War. War is as Plato noted, a reality “that exists as if by nature between every city-state.” However a constant state of war as exists in the Western World today undermines the foundations of civilisation. Wars, then while an occasional and unpleasant necessity should therefore be ended as quickly as possible. Instead, the dominant ideologies behind modern Western militarism persist in perpetuating unlimited, endless warfare. These forces must be stopped and controlled through democratic means otherwise they will continue to undermine the moral and economic well-being of society. Regardless of the cognitive dissonance of Rove and others, the most important lesson of war was best stated by Sun-Tzu: There is no instance of a nation benefiting from prolonged warfare.